I recently had a great conversation with Dr. Rachel Fresco, a Chinese medicine practitioner and herbalist. We discussed how she developed her proprietary herbal antibiotic, Biocidin, as well as its uses. One important point she made was that our culture is very focused on probiotics, although these probiotics can’t do the job of killing bacteria, yeasts, parasites and viruses. Probiotics, especially the spore-based ones that Rachel and I use, can feed good bacteria and starve bad bacteria, but they often aren’t enough for a true gut-healing protocol. In this video, we also talk about the detox power of binders and a super-powered quercetin that can calm inflammation in your gut and lungs. Also, if you are suffering from mold toxicity, there are lots of important bits for you in this video, from nasal infections to why you have a leaky gut! I love Rachel’s products and use them in my own health routines. You can learn more about how I use them and why I chose them at our shop. My favorites are the Gut Infection Kit, Biocidin tincture, GI Detox and Dentalcidin toothpaste. New to our shop? Use code NEW15 to get 15% off your first order! You also get free shipping on any orders over $150. Choosing supplements can be difficult, and you may end up wasting a lot of money. And if you are not sure whether or not the product is working, you may stop taking it and it will end up sitting on your shelf for years! 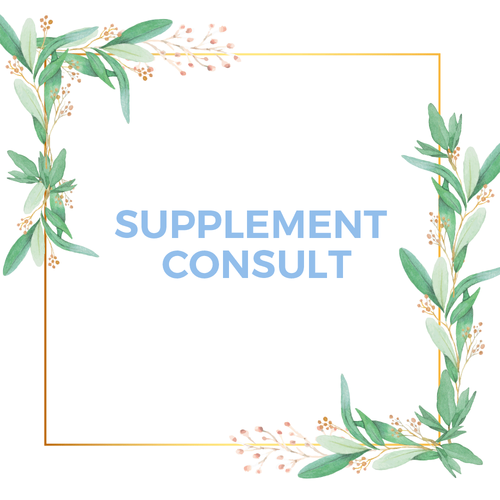 I am pleased to offer you a Supplement Consultation at a great price point, where you’ll leave with a custom supplement prescription to tame your symptoms. Older PostHow Toxic Is Your Bed?